When it comes to blogging we are all pretty much little fish in a big pond. Our ability to grow our blog depends not on just creating great content but also on how we then promote it so that we are found. In this article I will be sharing practical solution that will show you how to get people to read your blog and how to increase blog traffic. There are some key ingredients that you need when it comes to starting a blog. If you are already blogging then you may need to just adjust what you are doing to increase your blog traffic. Your site needs to look good and appealing to visitors. You need a good-looking, professional theme. I like free so free themes are good but premium themes are better as highlighted in my How to avoid WordPress problems post. When you create a new blog you need to look good in all formats. Your mobile presence is incredibly important so make sure that your blog has a responsive theme that adjusts to the screen it is shown on. You can also consider going down the AMP route which is very beneficial for SEO. Of course, SEO plays a big part in solving the puzzle of how to get your blog noticed on Google along with keyword research. If you have a good theme then some of the SEO basics are covered just by default settings. For example, each post title will be h1 by default and a good premium theme will be faster than a free theme providing you don’t weigh it down with plugins. But you will need some basic knowledge that covers on and off page SEO. You can check out my SEO Guide 2018, it is all covered there. Keyword research is something that is also important but not to the degree you are told it is. There are really no good free keyword research tools apart from Ubersuggest. Of course, there are lots of paid for versions but why would you pay to cover keyword research when it is not keyword research that brings the results. It is just one element to help you get people to read your blog and to get noticed by Google. I even argue that conventional keyword research is no longer necessary in my Never do keyword research again. Do this instead article. And if you read that post you will know why you don’t need keyword research tools and why you certainly don’t need to spend money on keyword research. That is not how to get people to read your blog. That is just how you waste your time and money. SEO and Keyword Research are just two parts of the puzzle to solving how you get traffic to your blog and how to get your blog noticed by Google. But they don’t guarantee results. SEO and Keyword Research should be a very simple process. There is no need to spend hours and hours optimizing. Because all the optimization under the sun won’t solve the problem of how to get people to read your blog or how to get traffic to your blog. What counts is how good your content is and how long and how rich it is. So when I say that spending hours on SEO and Keyword Research is a waste of time all I am saying is that your time is better spent creating content. Yes, of course, you cover your SEO optimizing and your keyword research. You cover your SEO as you write the content so it shouldn’t take very long to optimize and keyword research is as quick as a couple of Google searches. Spend your time on your content. So let’s solve the “how to get people to read my blog” problem. If it’s not SEO and Keyword research that counts then what makes the difference? Well, your content is key, how good it is and how long it is are major factors. When you write a blog article how long are your posts on average? Yoast SEO will guide you and turn green at 300 words. They say that that is the minimum recommended length. When you get that green light do you stop? There are some topics that can’t be covered in 300 characters. 1000 is still way too short. Your blog posts should be pushing 2000-2500 characters per post. Brain Dean (BackLinko) analyzed 1 million search results and here is what he learned about post length. 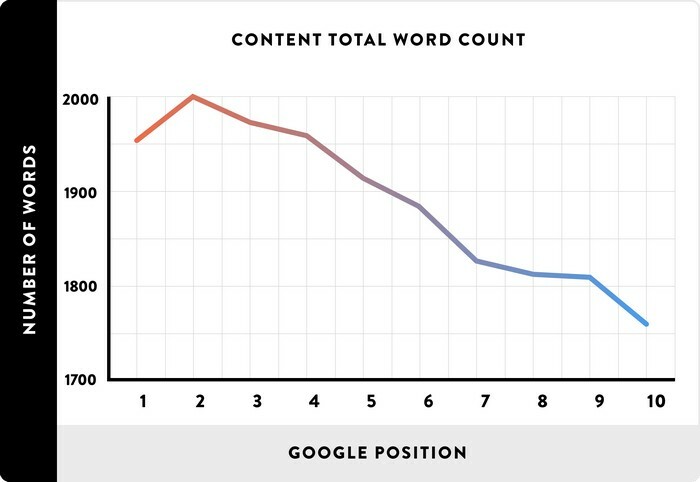 Based on SERP data from SEMRush, we found that longer content tends to rank higher in Google’s search results. So does this mean that all your articles have to be pushing 2000 characters? No, because if you have done your keyword research with Google you will know who is ranking for the keywords you are optimizing and if the results ranking are coming in at around 600 words then writing 1000 will be a huge benefit. If the ranking posts are on average 1000 then write 1500. Just write more than your competitors. The more you write the more you get noticed. And eventually, you will be seen as a potential authority and be sent some Google Traffic. But again writing long-form content will not guarantee that you are noticed by Google and if you are not noticed by Google then your struggle with traffic and you will struggle to get people to read your blog. 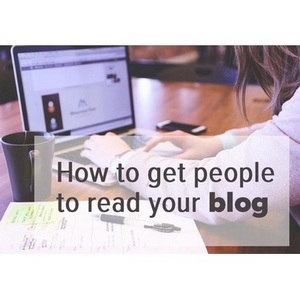 How to get people to read your blog right now! If you want to get people to read your blog right now, if you want to increase traffic to your blog then you must actively promote your blog to all your social media channels. Social media is pretty much instant traffic and a very good indicator as to how good your content is to Google. If it is shared a lot then that is the quickest way for Google to notice your blog. 1/ I Share my post on my Facebook Page and then to 3 or 4 relevant groups and then also onto my profile. 2/ My post is then shared on my Twitter account. But I don’t just make a quick tweet I change the call to action from just the post title to something more interesting and compelling for my followers to engage with. And I, of course, add in my @dexterroona username so that I get notifications and 3 or 4 relevant hashtags to help visibility. 3/ Next it is off to Google Plus. Google Plus still hold weight to help your blog get noticed. It is after all Google. Sharing to Google Plus helps your pages to index in search faster. 5/ Next up is Pinterest. I use Pinterest a lot and I even go as far to add images to my posts that are more formatted to work well on Pinterest. 7/ Next I notify the Reddit platform of my contents existence. 8/ Then the article link is shared to Digg. 9/ I then pay my Google Search Console and I fetch and render my posts link. Doing this on Infobunny pretty much gets my post indexed instantly. Asking Google to index my new content is the quickest way to get noticed by Google. 10/ The following day we share to my Content Curation sites. Scoop.It, Pocket, Pearltrees, Flipboard, Wakelet and Listly. They all receive shares. 11/ More social sharing. I send my content to Instapaper, Quora and Klout. 12/ Comment on other bloggers content. If you create good quality valuable comments then the owners are sure to pay you a visit. As you can see I do quite a lot just after I have posted a new article. Well, it sounds quite a lot but it actually takes around 15 mins. Now you’re going to have your own favourite sites to share to and how many you share to is really up to you. The big point I’m making is that after you send your new post live, that’s not the end. The problem with social media is that social shares have a lifespan and it’s effectiveness diminishes as time passes. That’s why we all want masses of shares, to keep the positive effect that social media has going. But you can’t just keep sharing and be sharing yourself you need a little help. 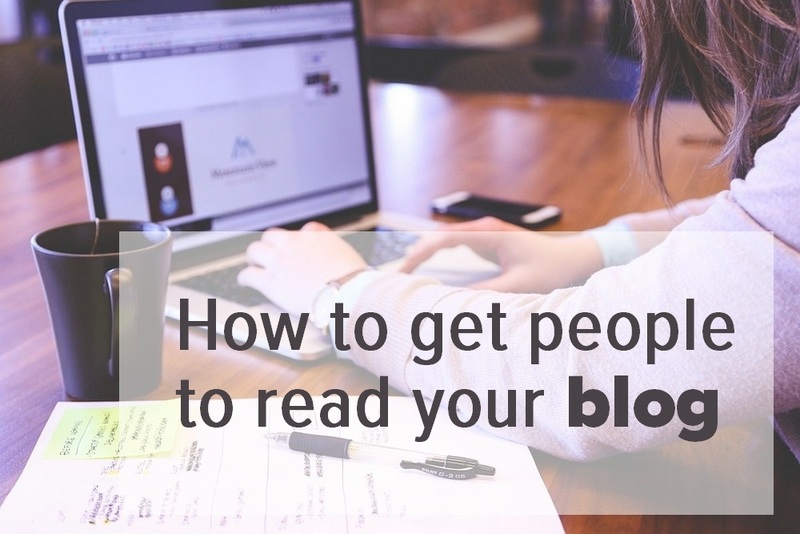 If you want to get people to read your blog. If you want to be noticed by Google and build traffic then there is no quick solution. You really do have to cover all the bases. 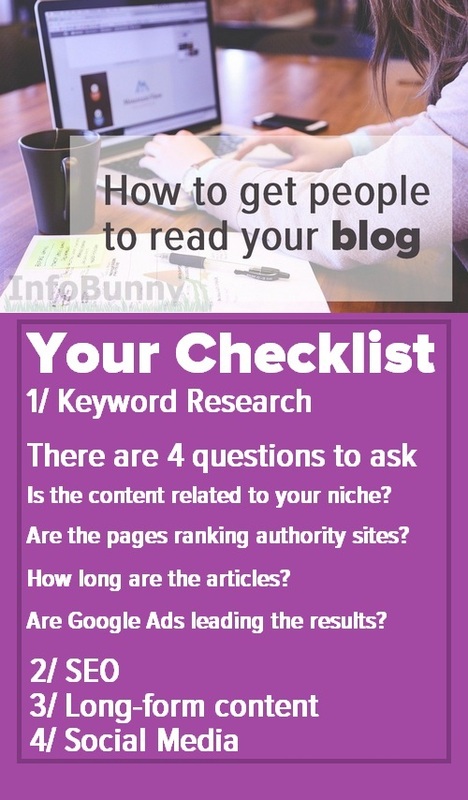 SEO and Keyword Research are key element in helping you get people to read your blog. With SEO you optimize your site’s pages in a way that Google likes. With keyword research you layout what your content is actually about. Should you spend an age on SEO and keyword research. No. If you are writing long, posts and you now know you should be then it will take even longer to SEO optimized if you are fixed in turning all the Yoast lights green because the longer your content the more times you need to get your keywords into the body in order to go green and stay green. Writing long generates keywords so rather than stuffing your main phrase in just to stay green, instead use variants and just make your article read better.Google still knows what you are saying. Once you are published then promote. Promoting on social media is fast traffic to your site. It is about as instant as it gets. Don’t wait for Google to discover you. Instead, make a noise so Google takes notice. They will see all the social signals you are generating they will notice the traffic hitting your site. You have an idea for an article so now you know what keywords to use. Just Google search a couple of ideas for phrases that you think searchers might be putting into Google. Take a note of what comes up, particularly related searches and the People also ask questions. These are the words and phrases your potential visitors are searching for. Congratulations you just discovered the users intent. You can not only use these words and phrases within your article you can also use them to formulate a great keyword based title. If you are optimized for schema rich snippets then finding the user intent and then appealing to and answering the users intent is absolutely key to getting your rich snippets appearing in the search results. While you are checking Google for the best user intent keyword phrases to bring people to your blog make sure that you pay attention to the competition. Is the content related to your niche? Are the pages ranking authority sites? Can you compete with authority sites? If you can’t then maybe these phrases are too difficult to rank for. Dig a bit deeper into the results and find phrases that are less competitive. How long are the articles? Write long, longer than the competition. Good well, structured relevant Long-form content is what makes a difference. Use the results as an example of what you should be doing and do it better and write longer. Are Google Ads leading the results? If Ads dominate the first 3-4 spots before the search results show then these are highly competitive keywords. Competitive enough for advertisers to pay to get ahead of you and everyone else. Structure your posts and pages to compliment Google and Bings SEO requirements. A good SEO Plugin like Yoast will guide you as to what you need to do. But as I said earlier don’t fixate on getting everything to turn green. SEO is part of the natural content creation process, optimize as you go so that when you get to the end everything is optimized. Don’t write your content and then spend an age tweaking it. Your posts need to be long. Certainly over 1500 characters. The longer the better. While you wait for Google to give you some love you get active. Social media is as close to instant traffic as there is. Be active, drive traffic to your blog. Get Google to take notice of your site. Bering people in to read your blog. If you want people to read your blog then you have to cover all bases. Keyword Research and SEO do not guarantee success. What good is a carefully optimized post that is 300 characters when on average the length of any posts ranking page 1 will more than likely be 1500-2000 characters? Whats your strategy to get Google to notice you? How do you get people to read your blog? Great post, Dexter. So much actionable info and thanks for sharing your social media and indexing strategy. I create a lot of long-form content over on our blog and I optimise and promote them well, but I see I can do more! Hi Hazel. Thanks for stopping by. Yes, we can always do more. I do a lot because after I have written a long post I’m pretty wiped out so just simple promotion is a light relief to creating the content. Then a week or so I will share again but change the call to action and as you know VCB is very useful for keeping the shares ticking over. Social sharing and social bookmarking is a great way to boost site traffic and grab more eyeballs. I have used most of the sites but I have never thought about Wakelet. It is new for me. I like to learn more places to share my content and boost traffic. Wakelet is great as they carry dofollow links. They are also up and coming. Impressive post shared by you!!! Your post is very useful not only as the view of SEO, but also view to get attention of viewers and hold them to blog. I will try to implement to my blog next time. Great let me know if you need any help. Thanks for another great read Dexter! Fetch and Render is the quickest way to get indexed. Very informative post! I had vaguely heard of Instapaper last week but brushed it off with the other places I share my content. But now I’m curious about it, and I will definitely look into it now. Very informative post! Yes you are right that apart from SEO and keyword research there are other things also that needs to be considered. The content has to be rich to attract the audience. Yes, you need all the ingredients. SEO and Keyword Research only take you so far. If you just use those elements your going to be waiting a long time. You will get results but it will take a very long time. Mix in the other ingredients and it will happen a lot faster. Information is given above was important for any S.E.O field Working person and few things really impactful or hooking-up to a visitor that makes them read the blog. The way of delivering information in the word. Language that makes people comfortable to read the information. Whoa, I didn’t realize there were so many more places to notify when you’re done with a blog post. A few I’ve heard of but many I haven’t. I have some work ahead of me, along with the Twitter info you shared with me last week. Thanks so much for sharing your great knowledge. Oh my. I very rarely write a post of 2000 words (not even close). Also need to check my analytics. Long-form is what you need. I research SEO tips constantly. My research is mixed. Thanks for the confirmation about what is true vs. what isn’t. I appreciate the inspiration to continue to make my posts longer. A Takeaway section is an easy way to do this but I forget. Stumbled! Longer posts definitely do best. I always find the length posts to be interesting. I do not particularly like to read an overly long post. This can be for several reasons but I do want to do more research into google’s thoughts on this. Everybody can start a blog, but the main thing is getting the readers and create an engagement with them. Thanks for sharing these tips, keep it up. I like your writing style, yes there are many things apart from SEO which needs to be taken into consideration for increasing readership and decreasing bounce rate, I have a doubt do colour scheme also affects and matter in engaging readership? Yes a badly thought out colour scheme can put people off. There are some solid recommendations there and I like how you have a process for sharing the link over the first few days. I’m going to give this strategy a test and see how it compares to what I have been doing with my blog to date. Great let me know if it works for you. Great you can opt-into the mailing list as well. Just opt-in in the box on the sidebar. No problem feel free to tag me if you want me to see anything. Very in depth article, very very informative and makes complete sense. Wonderful job. It is a great idea that you’ve shared this important information regarding Blog. It has helped me in ranking my website, as I am an SEO Executive, I am liable to work for the rankings of the website thus it is on us that we work for the website. I am thankful for your blog as it provided me a useful piece of knowledge, it is like a step upwards on a ladder.